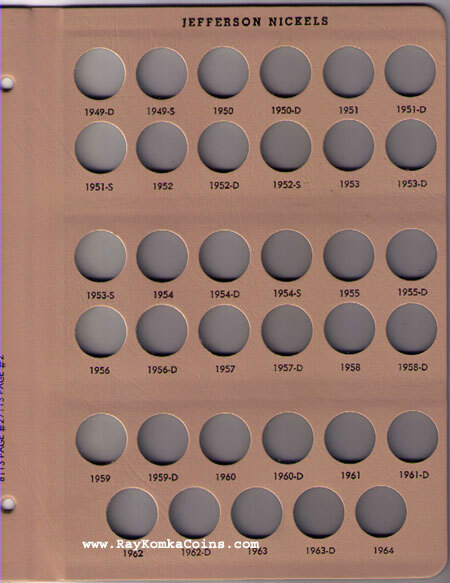 This is the newly released Jefferson Nickels with Proof issue album that dates 1938-P through 2005-S Proof with 18 extra ports on the last page. 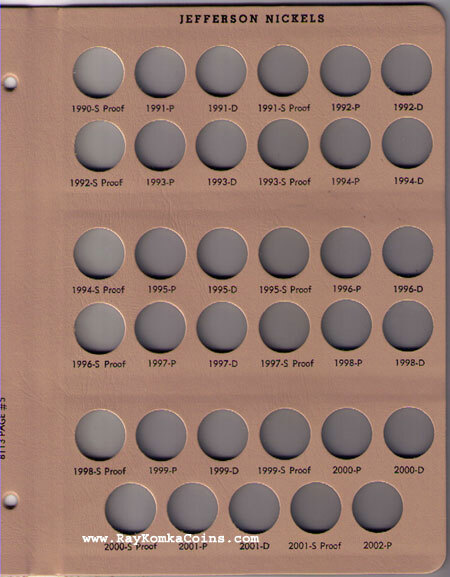 This album does cover all 4 westward journey nickel designs from 2004 and 2005. 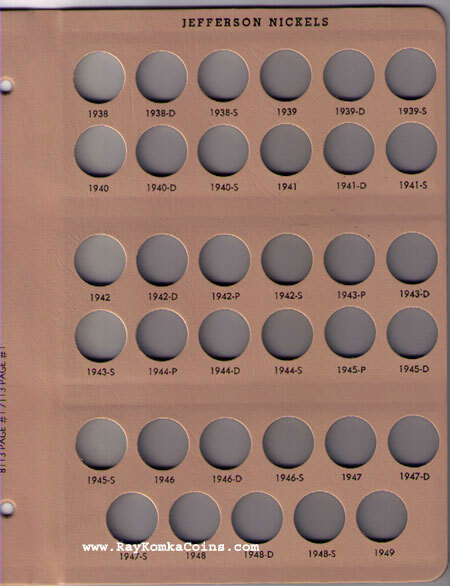 The front cover of this album has the date range 1938-2005 printed. 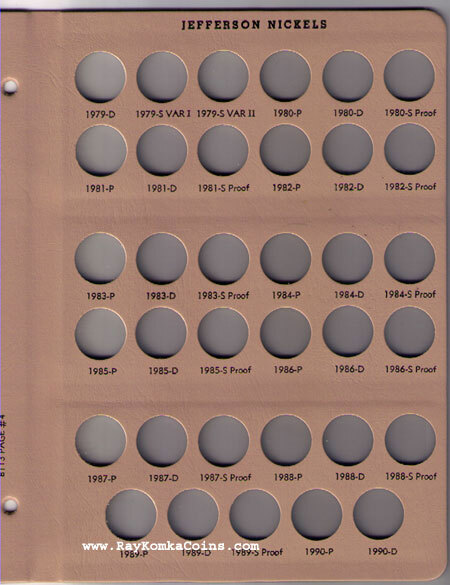 Please note: Dansco will not be producing an 8113 page 7. 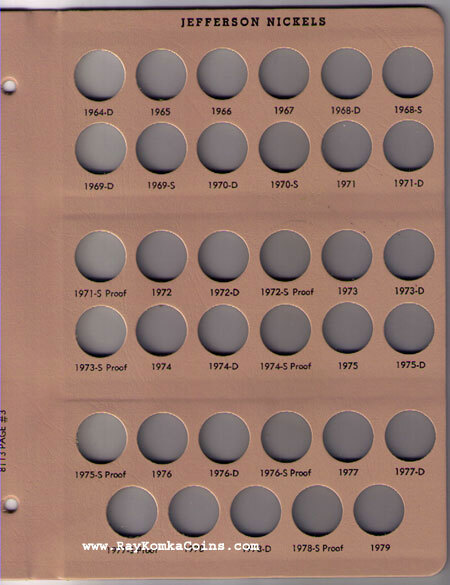 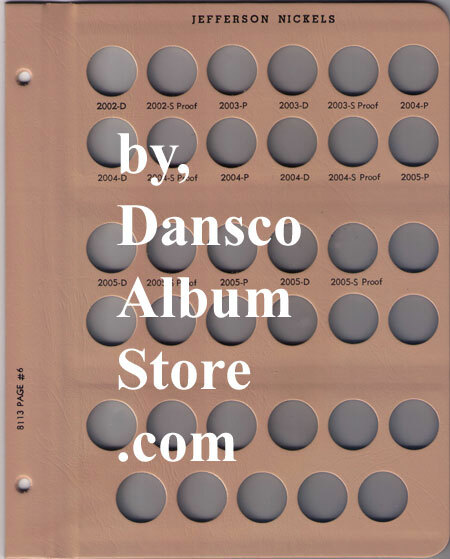 Dansco has released the new album the 8114 (with proof) to start in 2006.